Well maintained 2 bedroom ranch located in a gated community, on a quiet cul-de-sac. This spacious floor plan has vaulted ceilings with lots of natural light, a gas fireplace and a slider leading to an easy-to-maintain cement patio. Enjoy the oversized master suite with new frameless shower and a large walk-in closet. The charming formal dining area and eat-in kitchen are great for entertaining. The main floor laundry off the kitchen includes a washer and dryer and built-in cabinets for additional storage. The full unfinished basement and large 2 car garage (new motor) have tons of space for storage. Home upgrades include: tankless water heater, new dishwasher, and a new washer/dryer. 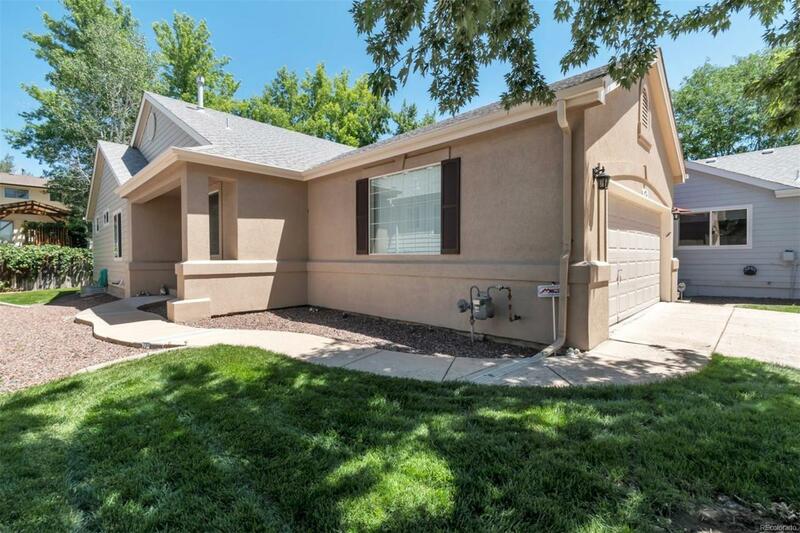 Convenient access to C-470 and 285, nearby shopping and restaurants. This wonderful community offers a clubhouse, pool and all common ground maintenance, trash and roof is covered by the HOA. Offered by Realty Edge - The Furay Group.